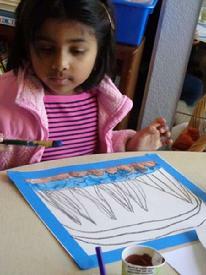 Our school offers the internationally recognized Montessori Primary curriculum. 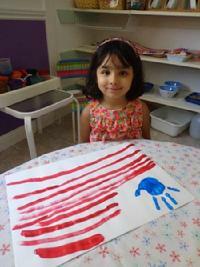 The Primary class in Montessori is composed of the normal three year age span, 3-6 year old children. 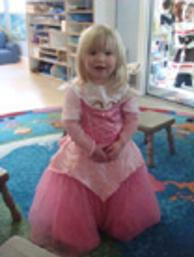 Nautilus Montessori School accepts a limited number of two year old children who are ready to participate in the Primary classroom. The Primary class is a prepared environment offering Practical Life, Sensorial, Language, Math, Sciences and Cultural Subjects, Music, The Arts, Grace and Courtesy(manners), Respect, Critical Thinking, Community Participation, Community Responsibility, and many more age appropriate developmental Life Skills. Children as young as 20 months may be enrolled at Nautilus Montessori School provided they are working towards self-sufficiency in the bathroom. Any child who requires a nap is provided opportunity to sleep after the lunch hour. Children who have had their third birthday are expected to be self-sufficient in the bathroom. Monday, Tuesday, Wednesday and Thursday afternoons are reserved for Pre-Kindergarten and Kindergarten children who do not require an afternoon nap. Pre-Kindergarten and Kindergarten children have additional class focus on Language Arts, Math, Sciences, Arts/Music, World Historical Figures and Peace Education in the afternoons. Academic work continues on Friday afternoons. This is a Fantastic Class! Come by for a tour to appreciate the scope and depth of the afternoon program! Children who attend Nautilus Montessori School on a full day basis and require a nap have opportunity to nap during the afternoon class. 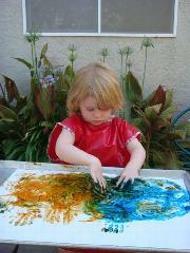 Kindergarten at Nautilus Montessori may be accomplished by taking advantage of one of four options. Kindergarten age children who attend public Kindergarten in the mornings, also attend Nautilus Montessori School in the afternoons. Enrollment in our Afternoon Kindergarten program ensures your child's continued academic growth within our intimate and comfortable family style environment. Our Reading, Math and Cultural Subjects curriculums allow each child to progress at his/her own pace while nurturing social skills, independent thinking, community involvement, and creativity. 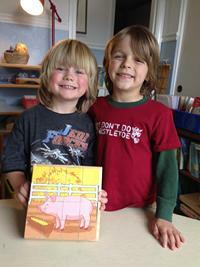 The Kindergarten program offered at Nautilus Montessori School is similar to a standard first-second grade curriculum. A combination of Public Kindergarten in the morning and Nautilus Montessori Kindergarten in the afternoon will satisfy both the desire to participate in a larger social group and allow the academic momentum to continue learning. You may consider requesting a morning public Kindergarten class which would allow your child to attend Nautilus Montessori's academic Kindergarten in the afternoon. Afternoon Kindergarten is offered Monday, Tuesday, Wednesday and Thursday afternoons. Children requiring care while parents work may attend Nautilus all five afternoons. 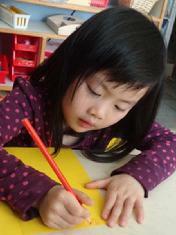 Friday afternoons are devoted to a low ratio, (1:3 or 1:4), tutoring hour, art, classroom work and playtime. Transportation from the public site to Nautilus Montessori School is the responsibility of the parent. Car pools may be arranged. Love of literature is strongly promoted; a shared experience. Our academic Kindergarten provides your child with one to one focused attention, and a curriculum not offered in the public sector. By the time our 4.5-5 year old children have completed their second year at Nautilus, they have often successfully completed most of, if not all, *California State and Dry Creek Joint Elementary School District Standards for Kindergarten. Academic challenge in public kindergarten often does not exist for Nautilus children. The large social group, 1:20 ratio, is certainly delightful for our children, but the academic work is what they accomplished at Nautilus Montessori one or two years ago. The CA State and Dry Creek JESD standards are the skills and academic accomplishments each child is expected to successfully complete at the end of the school year. An outline of each school district's standards for each grade should be available at your local public schools school office. Our school Director helped write the Kindergarten through third grade district standards for the Dry Creek School District. During the Summer months (June-August), our children continue to work on their academics but at a more relaxed pace. They enjoy a variety of fun summertime activities like water play, outdoor science experiments and Pirates & Princesses dress-up fun.